Your “Sales Funnel” is the complete step by step process of turning exposure of your business in the marketplace into paying customers. Simply put, its what makes businesses money. Every business has a sales funnel, even if the business has no website. There is always some form of exposure that every business has. How well constructed your sales funnel is determines how effective it is to turning exposure into sales and income for your business. And your sales funnel can always be improved, if one has certain skills and experience with selling and/or marketing strategies. 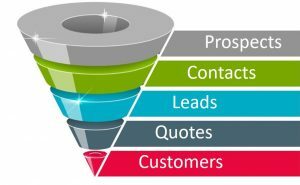 A “Lead Magnet” is a unique the marketing tool that simply helps to turn more prospects into sales. It does so by turning them into a contact by giving them a free sample, or free valuable information related to your business or service/s. A contact is someone you have their details on. Lets say someone visits your website, they take a look around for a few minutes and then decide to leave, without contacting your business. That’s happening with 98% of all website visitors – and that’s only if the website is classified as “Good” at converting visitors into leads. The 98% figure is an enormous loss of potential leads and sales, that you can do something about. That’s what a lead magnet can help with, to convert more visitors into contacts, leads and sales. 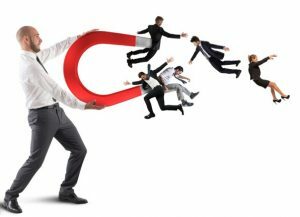 What Businesses Can Benefit from a Lead Magnet? Definitely not all, but a significant percentage of service businesses can. The service businesses that benefit most are ones that require quite a bit of investigation by the business into their clients – before they become a client. Or ones where the prospect would benefit from additional tips to help them understand the service the business provides. Is your business one that these describe? If so, a lead magnet will also certainly benefit your business. What Types of Lead Magnets Are There? The list above is ordered from the most popular to the least popular in the marketplace. The checklist is the easiest one to put together as it can just be a 1 or 2 page document. Which type looks attractive to your business that you can consider putting together? On your website you can have your lead magnet prominently displayed on your Home page with a ‘click here’ Call To Action (CTA). You can have the lead magnet only for specific services, which may be more technical and therefore benefits from additional information that is important for your prospect to know. You can use the lead magnet for alliance partners as an excellent “introduction” to your business/services. You can include it with your social media pages with a “Free Guide” link to your offer/registration page. You can discuss why the guide/report/booklet is a benefit to people looking to buy from your industry in a post to your Followers. You can even run PPC campaigns on Facebook or Google Ads specifically promoting your free lead magnet. You are only limited by your imagination as to how you can use it and you should use it in as many ways as you can. 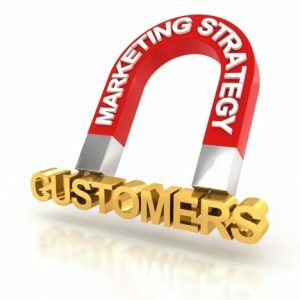 A lead magnet will require an opt in and therefore an auto-responder of some kind. MailChimp is an excellent platform – used by Profit Transformations and even has free-for-use plans for low volumes of contacts. It’s very popular and easy to setup and use too. You’ll need to give some thought behind whether the opt in for your lead magnet will just send one email, or a whole sequence of emails. Usually, you’d just send one or possibly two for a traditional service business. Another tip is to consider what information to ask for with the opt in. Many online marketers recommend only asking for emails, but online marketers never talk to prospects. All their communication is by email so even their first name doesn’t matter. For your offline, traditional service business, you are best to ask for a lot more from your prospects at opt in time. The more information you ask for as ‘required’ fields, the lower the number of opt ins you’ll receive, but importantly, the quality of the lead will be much higher. By obtaining for their phone number, you’ll be able to call them a couple of days after subscribing, which is effective salesmanship. Another point is what your next step is after someone opts in. In the auto-responder email the subscriber receives instantly, provide them with a link to your lead magnet. This is much better than having it on the page after they hit “Subscribe” because you prevent ‘dud’ emails coming into your database. In that first email its smart to let them know you’ve be giving them a courtesy follow-up phone call. If you just send an email with your lead magnet and then expect them to contact you, you may be waiting a long time for very few calls, and therefore are missing out on a potential sale. Following the lead up with a call demonstrates you care about the prospect. Two or three days after the person opts in is a good time frame to call them, and also send another email asking them to call, or to reply with a good time for you to call them. You can also send them a second email a few days after the first one and the day after you try to call them, asking them to call your business to ask any questions they have or to book a free quotation/consultation/meeting. You could then send emails every week for a few more weeks before deleting them off your database, or adding them to a general newsletter list. Just be sure to state very clearly on your opt in form/page that by subscribing they accept they will receive additional information in newsletters etc. Its important to tell people what they are opting in for. On this website you can see some in the forms of books on sales, marketing and management. Or, if you own a business which is above $1,000,000 revenue and you’d like to learn how to get in total control of your business, to manage it better, increase profit margins, see a lot more cash in your bank, and work less hours or days in your week, check out our lead magnet called LEVERAGE. 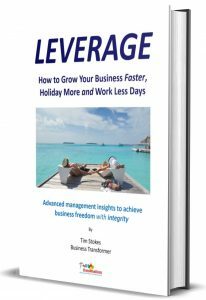 It contains high level management strategies to leverage your efforts and accelerate your business success. If you have questions, just add them as a comment below. If you’ve received value from this post, let us know – we’d love to hear your thoughts.